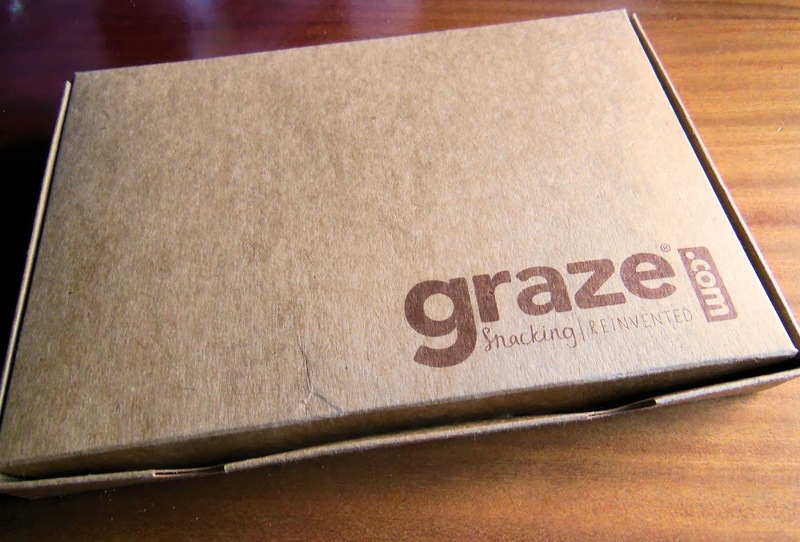 Blankets Of Roses: Review | Graze Boxes + FREE box for you! A few weeks ago I got given a voucher for one of these great snack boxes, and I just fell in love with them! 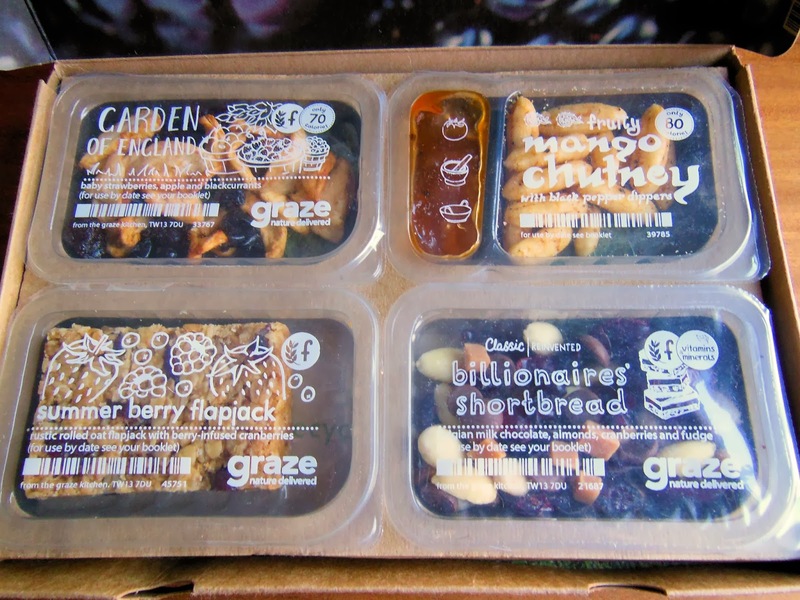 For the people that don't know about graze, they are a company that send healthy snacks to you in the post. All the boxes are nutritionally balanced, with different types to choose from to suit your needs. The boxes are also 100% recyclable and each one fits through the letter box. If you want to try it out and get your 1st, 5th and 10th one free click on this link, there is no commitment and you can cancel any time! As soon as you sign up you get asked to rate the snacks and get sent four of them, plus a booklet detailing its nutritional information. 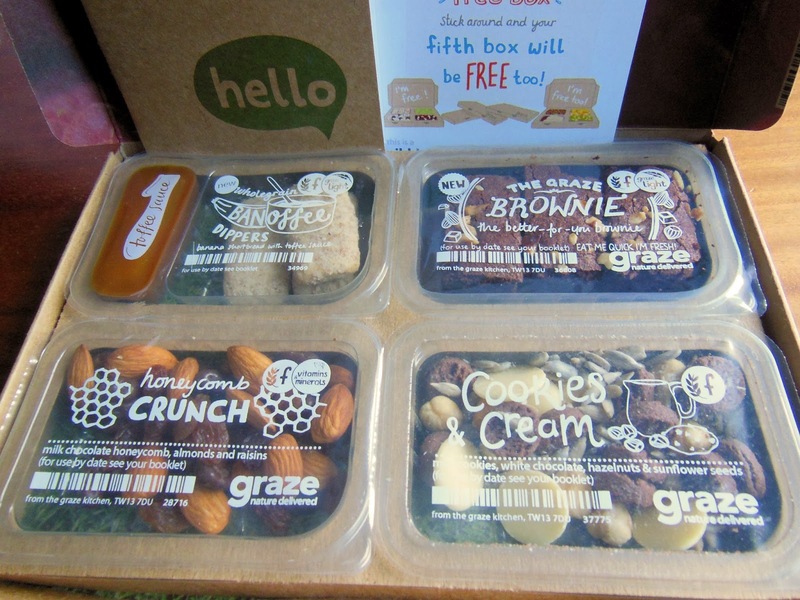 Favourites from my first box must be the Honeycomb Crunch which had coated milk chocolate, raisins and almonds and also the Cookies and Cream with mini chocolate cookies, roasted hazels, white chocolate buttons and sunflower seeds. From my second box I loved the Garden of England dried fruits and the Fruity Mango Chutney! Overall these boxes have been a great hit in my family, especially with my parents, which, food-wise are very hard to please. They offer a great alternative to snacking on crisps and cookies, making a satisfying snack on-the-go. I await every box with excitement as I am just too curious to taste all the snacks they have. Remember to click on the link here to get your free boxes!